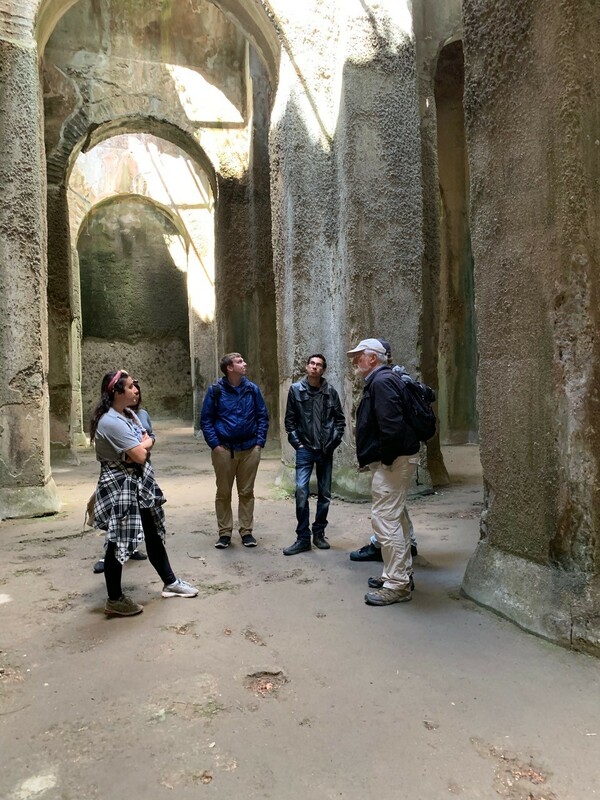 Arezzo constitutes an ideal setting for an effective educational program because of its size, location, and character: large enough to be a city for all intents and purposes and yet small enough to have a community feel. Everything important in Arezzo is within walking distance of the historic center. Located at the heart of Tuscany, the city is forty-five minutes train ride from Florence. It is easy to take day trips from Arezzo to Pisa, Lucca, Siena, Bologna, Perugia, Assisi, Orvieto, Rome, and many other important cultural and artistic sites. At the same time it is pleasant to return there in the evening and enjoy the priceless homey atmosphere of Arezzo, rarely matched by larger cities. In addition to its historical and artistic significance, Arezzo has succeeded in preserving its identity without becoming a typical "tourist city." The inhabitants are friendly and hospitable, the city and its hilly and mountainous surroundings are among the most beautiful in Tuscany, the cuisine is considered one of the best in the country, the cultural and leisure life vivacious and intense. Arezzo is one of the most suitable places in Italy to learn and practice standard Italian, the language that Dante, Boccaccio, and Petrarch spoke and to which they gave literary dignity in the Fourteenth Century. Founded 2,600 years ago by the Etruscans on a hill at the intersection of three valleys, Arezzo (100,000 inhabitants) is one of the most characteristic cities in central Italy. Rich in history, monuments, and intellectual and artistic tradition, Arezzo is the birthplace of numerous illustrious personalities such as the poet Francesco Petrarca, the painter, architect, and biographer Giorgio Vasari, and the musician Guido d'Arezzo. The city holds artistic treasures of the ancient, medieval, Renaissance, and Baroque periods. Among them, the fresco cycle of the "Legend of the Cross" by Piero della Francesca is considered one of the highest achievements of Italian art. The University of Rochester interacts with educational institutions in Arezzo including the Accademia Britannica, an Italian school that specializes in teaching Italian and English, the Accademia dell’Arte, a study-abroad performing arts school and Oklahoma University in Arezzo. An international group of faculty and staff collaborate to make the Lisio Italian Studies program in Tuscany a unique and challenging experience.